uniquely designed for students of all experience levels. 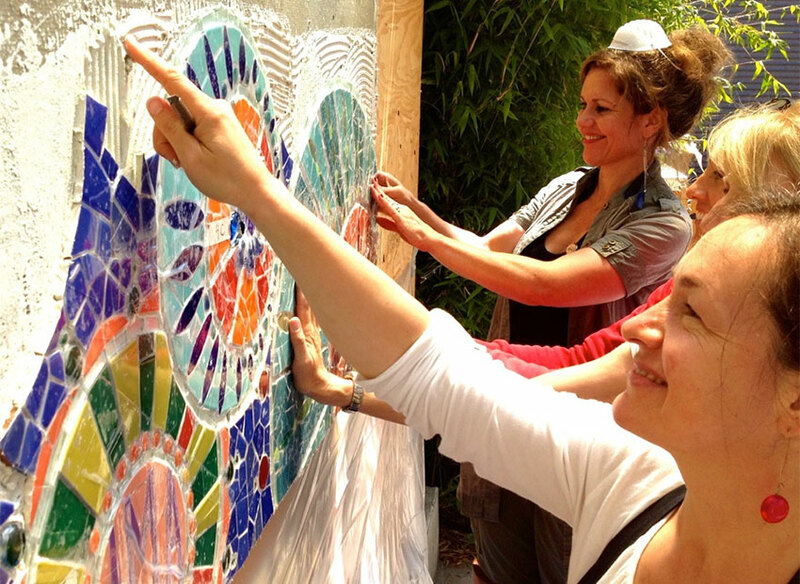 Learn the skills and techniques used in mosaic mural making while enjoying the inspiring and relaxing environment at Haciendo Mosaico... one of my favorite places to teach. 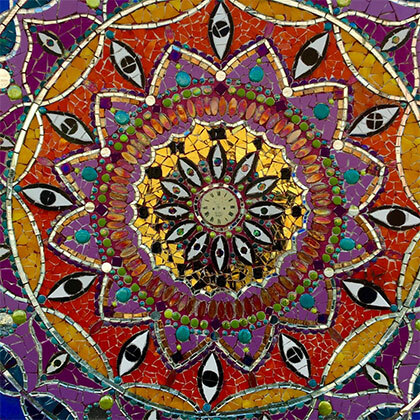 During this week-long workshop we will work as a team to create a mosaic mural that we will install together. Students will come away with skills and techniques they can use to create future mural projects of their own. 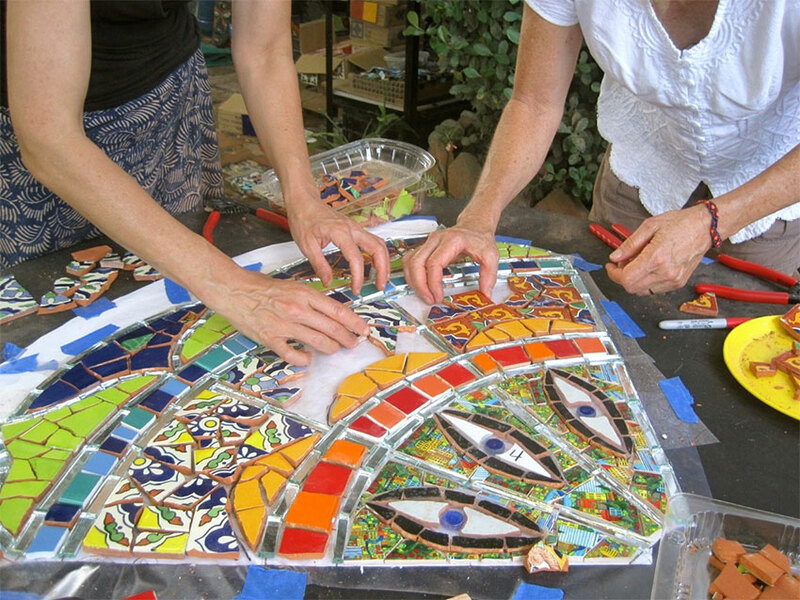 My workshop includes step-by-step instruction in mosaic making principles using ceramic, mirror and glass, as well as technical lessons in precision tool use, construction methods for larger works, installation and grouting techniques for murals and other architectural projects. An overview of different project approaches will be presented for working solo or with groups, as well as best practices for creating murals that will look great for years to come. 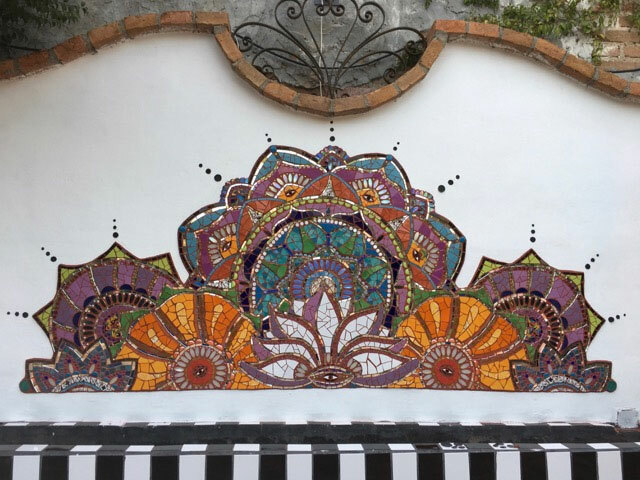 The mural we create during the workshop will be of a size and complexity that can be completed and installed during the week while allowing for time to enjoy the beautiful surroundings at Hacienda Mosaico and have personal time to relax into a great creative retreat. Students may choose to create a small mosaic piece of their own on tile tape to take home outside of workshop hours*. The beautiful, open air studio at Hacienda Mosaico is open 24 hours for students to use outside of workshop hours. Some mornings will include discussions about the role of creative expression in our lives and other topics related to inspiration and creativity. 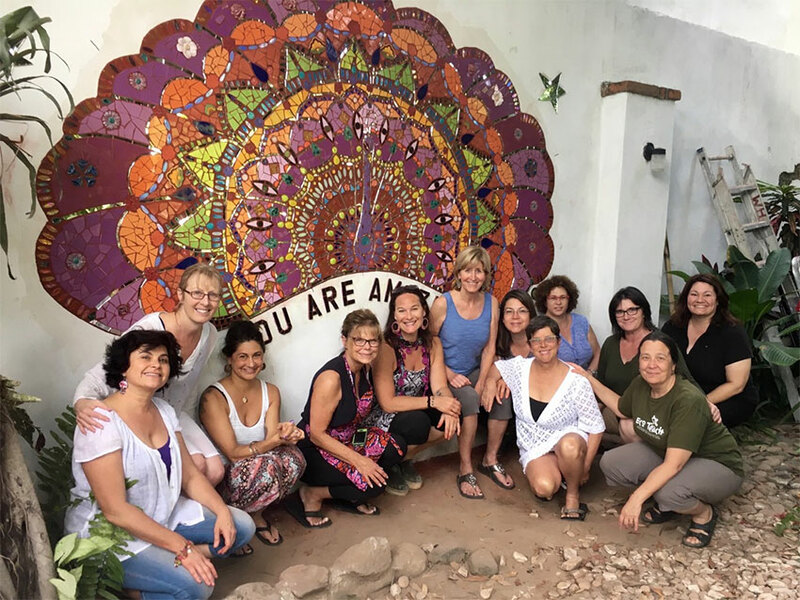 This workshop is excellent training for those who want to take their skills to the next level, move into creating larger work, and community builders and teachers who would like to create murals for schools or public spaces. Open to students of all levels, although some mosaic experience may be helpful, it is not necessary. Students will need to bring their own tools - a full list with links to purchase will be sent out before the workshop. 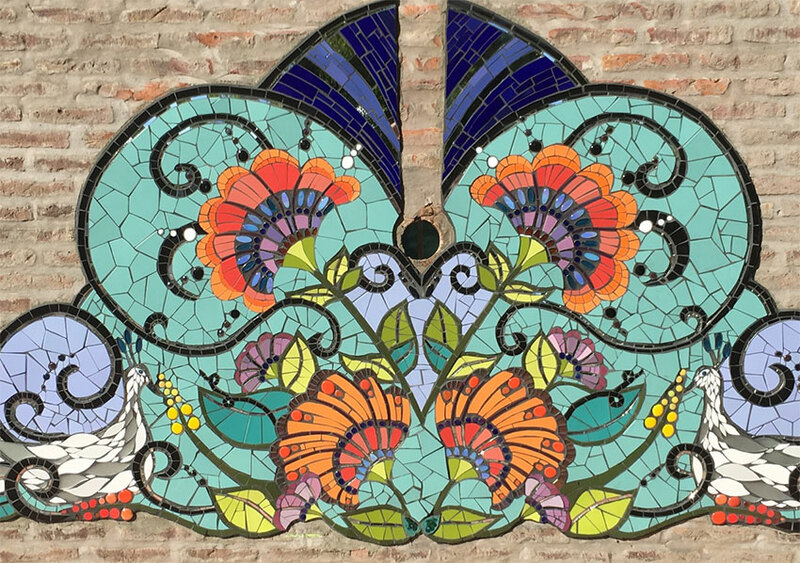 Hacienda Mosaico is one of my favorite places to teach.. I hope you can join me for this fun, community-building creative experience! 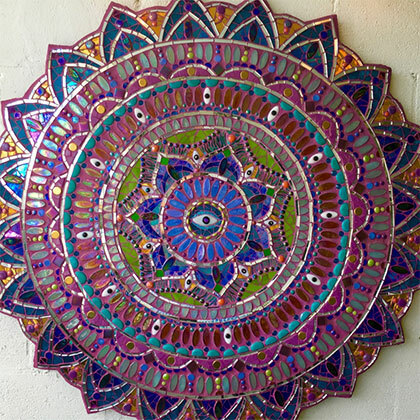 * Students are welcome to use materials leftover from the mural project and/ or bring their own materials to work with. **There are plenty of dinner options to explore that are within walking distance or an easy taxi ride away. 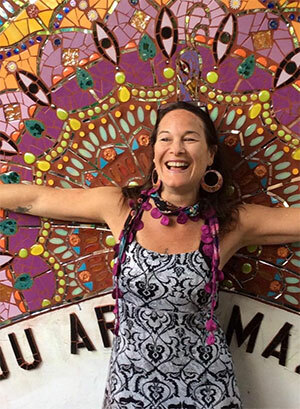 Laurel True has been creating mosaic murals around the world for the past 25 years. She is the co-founder of the Institute of Mosaic Art, Founding Director of the Global Mosaic Project and owner of True Mosaics Studio. Laurel has created over 100 mosaic murals and taught and trained thousands of students, apprentices and volunteers. This "plain language" tutorial will explain travel insurance so you can easily find the right plan.